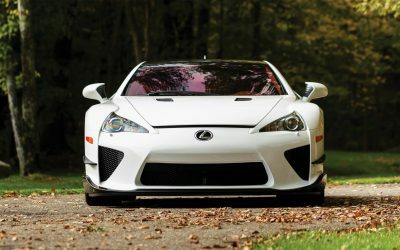 A Lexus LFA Nürburgring Edition sold at RM Sotheby’s auction this weekend in Arizona for a winning bid of $885,000 USD, a 90% increase over the original ticket price of $465,000. 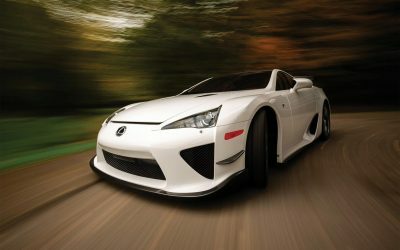 LFA #488 has an Ultra White exterior and an unusual white/red leather interior. 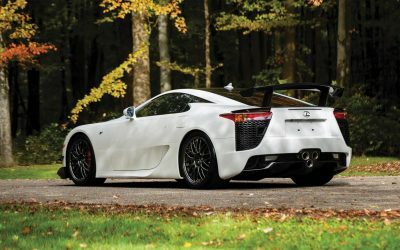 With only 54 miles on the odometer, the lucky winner gets a virtually brand-new supercar — original books, keys, car cover, battery tender, and window sticker were all included with the auction. Infrared LC: Such a distinctive exhaust note, very different from exotic Italians and Germans. 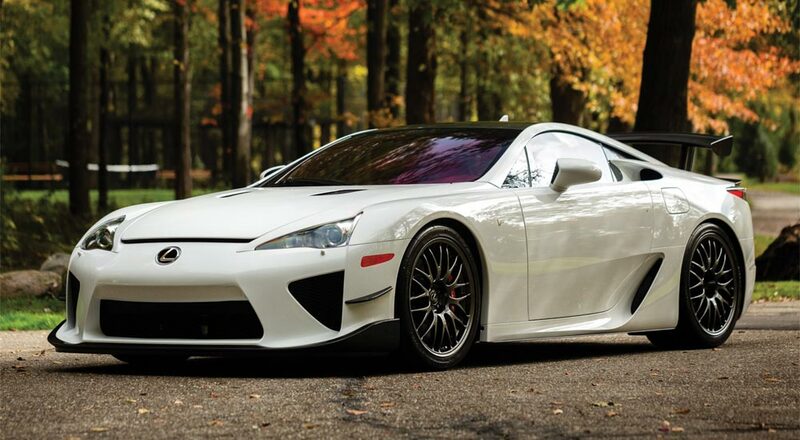 zeusus: This LFA was featured as Jeff Gordon's top 5 cars at Barrett Jackson.